Having spent many hours sketching Burchell’s Zebra (as they are generally known in southern Africa) or Plains Zebra (as they are known in East Africa), I am familiar with the complicated pattern of their stripes. They fall straight down the neck and shoulder, dividing around the front legs and becoming horizontal on both front and back legs. 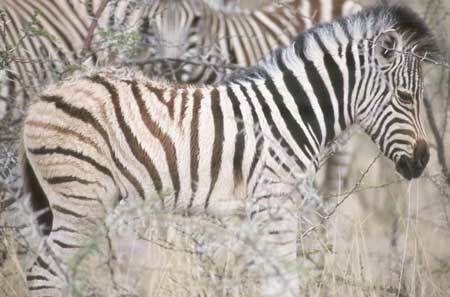 The face is even more complicated, as stripes divide around the eyes and form a diamond shape on the front of the face. And, as you can see, stripes can be brown rather than black, particularly as this young age. 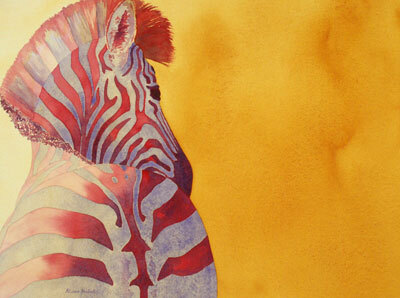 Of course when I paint zebra their stripes are more likely to be red or purple! 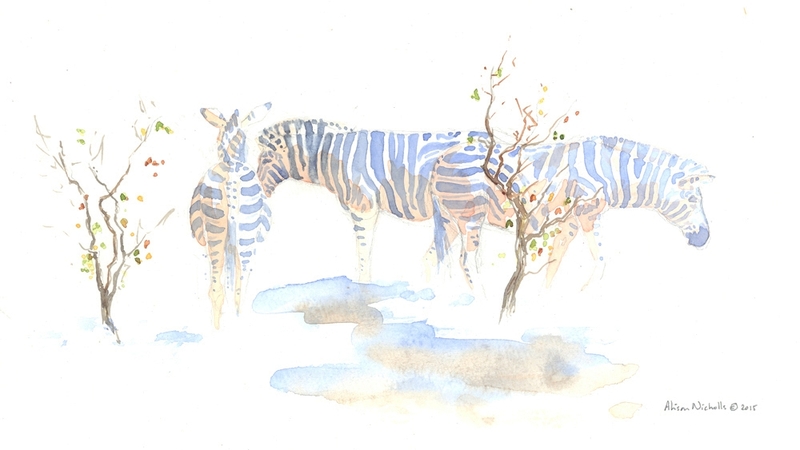 Knowing a Zebra by Its Stripes by Alison Nicholls.